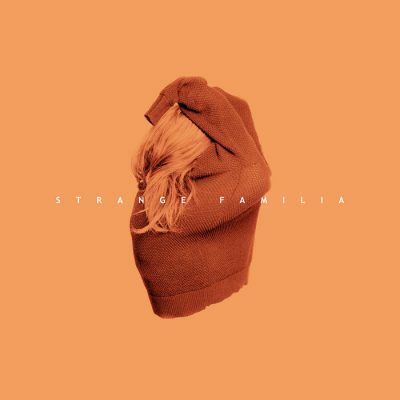 If you haven’t discovered their greatness already, you MUST check out local band Strange Familia this spring. Their self-titled album combines synthesizers, funky bass thrums and electronic beats to create a sound that is rare in the local scene but jams well with top-40s music. This energetic album is so upbeat, it practically makes me forget the stormy weather we’ve experienced in Utah, and it allows me to enjoy the sounds of summer through my stereo. Many of these tracks sound like they’d be perfect for the latest indie film, especially if there’s a slow-motion party scene involved. “Lines” has a thrilling dance beat, adding a variety of percussion that makes the album begin to pop with colorful tunes. “Motel” is similar, but it lays down thick bass tones that give weight to an otherwise synth-heavy track. Similar sounding is “Red Lipstick,” which brings out the latest Panic! At the Disco synth sounds. “Breathe” starts off with a sci-fi space aesthetic, completed by a booming bass that echoes in your ears. “Another day in the sunshine comes my way,” repeat the lyrics, nicely circling back to the album’s sunny theme. The album makes a 360 with “The Wreck,” which begins with acoustic guitar, echoey vocals and a somber-sweet story. This song made me swoon, plucking my vulnerable heart strings. “Love is a Terrace” is another of my favorites, a song that begs its listener to get up despite the times you’re feeling lonely and down. It starts off with a sweet piano run that picks up as it introduces other instruments, including the keyboard, drums and bass. “Sleep” is a bit more experimental—it is a noise track of harmonic synth tones and recorded sound clips that nearly lull me into a calm space before introducing a 30-second drum-and-vocal interlude. Strange Familia ends with “Odes,” combining all of the album’s elements to create one of its strongest tracks.